I’m always being asked about how to use essential oils at home, by clients and friends who would like to try them but don’t quite know what to do with them. 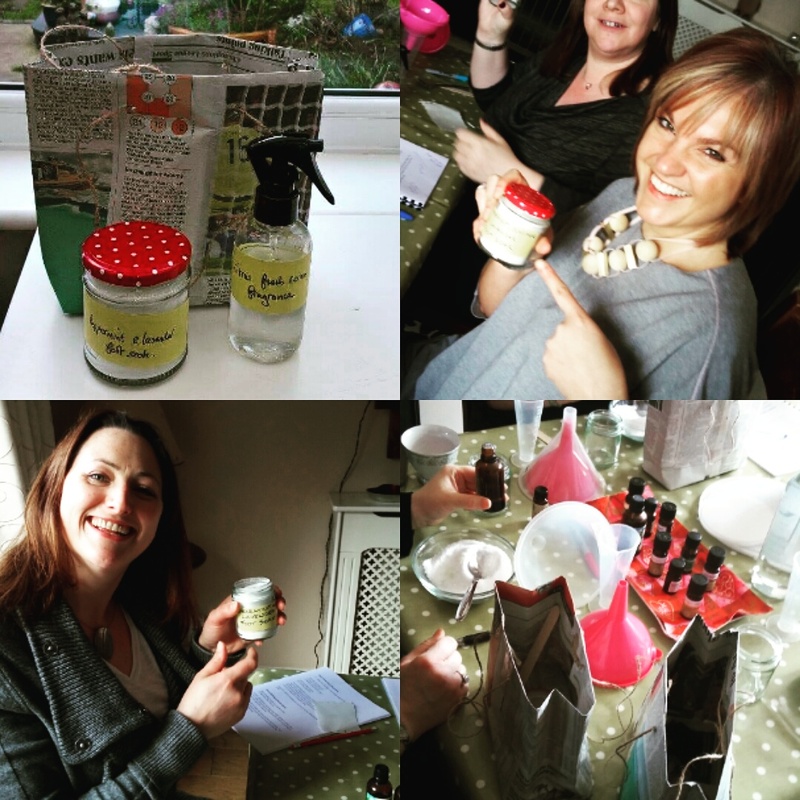 So the Essentially Curious Aromatherapy workshop was born. Our worlds and homes are very chemically oriented these days, cleaning products, air fresheners, plug ins etc. Everything needs to clean faster and stronger, which just means more chemicals. It IS possible to deep clean both effectively and safely ( and sometimes better ) using natural products, but they are more expensive than the cheap mass produced chemical products. The same applies to beauty products, the mass produced chemical products are affordable, the natural, more effective and safer ingredients cost more. So we all have a ‘chemical load’ a pile of toxins floating around our bodies at any one time and for those of us that already have health problems such as Cancer, Chronic Fatigue, Fybromyalgia etc this just adds to the already existing problems. One solution is to use natural ingredients and help make your world a little less toxic, whilst helping to address any health issues at the same time. Aromatherapy isn’t just a nice massage that smells good, its the name given to the use of essential oils. Essential oils are incredibly powerful things, far more effective than most man made chemicals, but you have to know how to use them properly and safely, because they are so strong they can be dangerous. This workshop teaches complete beginners all about essential oils. 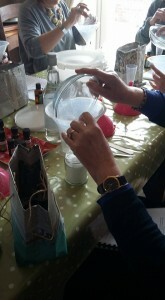 How to use them, how to blend them, how to dilute them. All about the top 10 most popular oils, their properties and strengths. How to include them in your daily life for personal use, well being and home care. Each person gets a full colour, carefully written manual to take home as their reference guide which includes all information given on the course plus recipes, all the tuition and guidance they need plus they get to make 2 products at the workshop to take home. One beauty product and one home care product. At the end of 3 hours, besides having eaten home baked cakes, chatted, laughed and drunk tea, each person will be able to safely and confidently use at least 10 oils in a whole array of different ways plus know where to buy them from and which ones to look for, enabling them to reduce their toxic load dramatically ( and fix a few things too ). Workshops are held at The Retreat, on set dates and also can be booked for groups on other dates to suit them ( including Sundays ). If someone wants to host a workshop at home/work this can also be easily arranged. I very much enjoyed this course and learned a great deal from a very good teacher. Thank you Victoria! Hi I have noticed that you have another workshop coming up in October this year. How do I book on?